As renewable solar and wind generation grow on the electricity grid, we require a whole new degree of automated grid flexibility. A flexible grid must be “smart” with the ability to rapidly adapt to the fluctuations in generation while still meeting user demands—ideally without firing up dirty fossil generators. 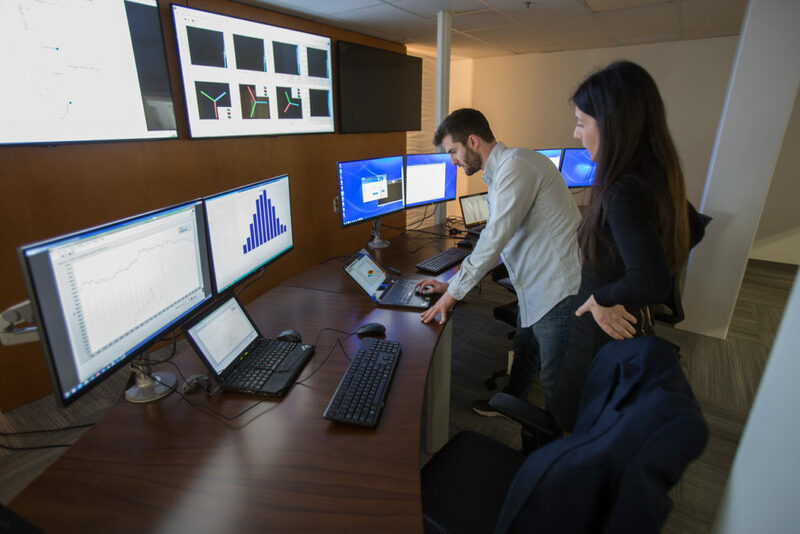 Our students, faculty, and partners study how information technology and advanced analytics can optimally be used to plan, forecast and control grid assets. For example, CEI researchers and partners at Washington State University and Pacific Northwest National Laboratory are implementing innovative software and hardware across Washington state to understand the best use of transactive communications as the backbone for a reliable and affordable smart grid.